My first ride of a Zest Airways flight is fine. I did not experienced any abnormal event during the whole duration of my flight, this is as compared with the flights of other airlines that rode before. I just experienced some bumpy ride during my flight in Zest Airways but that is normal because we are experiencing bad weather and some air turbulence during the flight. The hassle that we experienced on the Zest Airways flight is the almost one hour delay of our flight. We came to the airport two hours before our scheduled flight just to discover that our Zest Airways flight was delayed. It is a big hassle waiting inside the airport doing nothing but wait. Our flight is during the night so instead of resting early when we reach Manila, the delay caused us to reduce our resting time. It is a big hassle and the Zest Airways personnel didn't explain the cause of the delay. I think that Zest Airways is OK, just like Cebu Pacific and Air Philippines. My only suggestion is that they avoid delays of their flights because it is a great hassle to people like me. 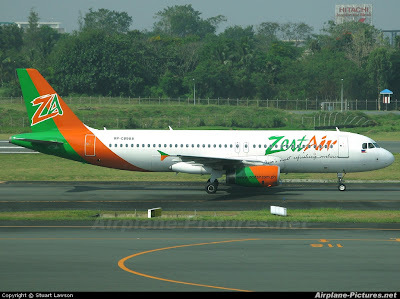 Know about how to avail Zest Air Promo Fares in my old blog post. Visit Before the Eastern Sunset and read about my review of Disney's retelling of Rapunzel's story, Tangled.